This is a bit of an impromptu post; I wasn’t intending to blog about this spinach and feta pizza pie I made a couple of days ago, but I was asked for the recipe after posting a photo on Instagram and I thought I might as well get a blog post out of it! 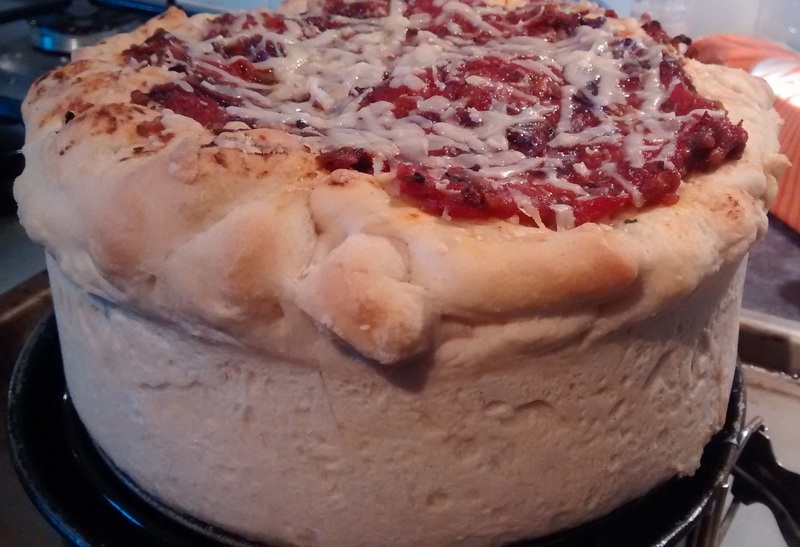 In case you don’t know what a pizza pie (or deep dish pizza) is, it’s basically a pie made out of pizza dough with a filling in the middle and a conventional cheese and tomato topping (with whatever else you want to throw on top). It’s just the BEST invention if you love pizza! 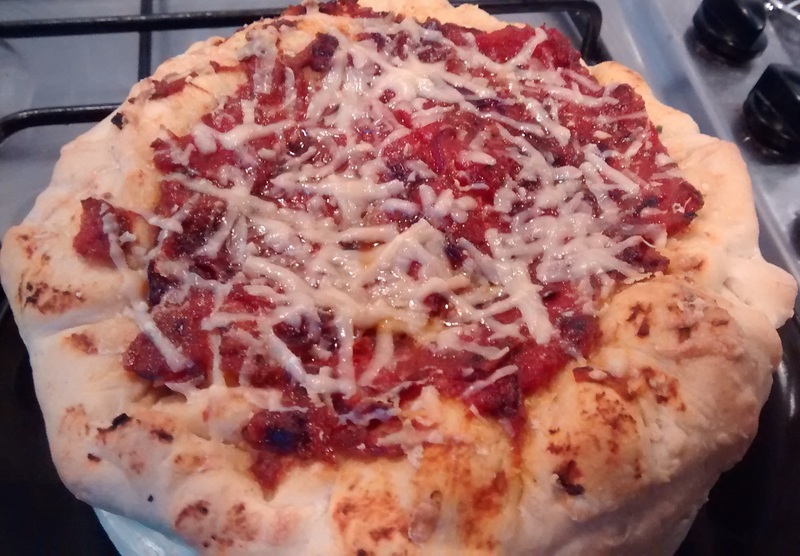 I’ve made this with my boyfriend a couple of times before; the first time went well, but the pizza dough was a bit of a disaster the second time. However, I’m pleased to report that it went swimmingly this time round. There’s a bit of effort involved with this wondrous creation, but it’s well worth it. The filling isn’t too difficult to knock up, but you need to prepare the spinach properly so it doesn’t go watery during baking. Unfortunately, we haven’t managed to quite get the knack of it, but it’s still delicious regardless of how watery the filling is. It’s worth either following the original recipe exactly (so use both Swiss chard and spinach, instead of just spinach as we’ve always done due to not being able to find Swiss chard in the shops) or using an alternative filling – I reckon roasted vegetables and mozzarella would work really well, or even a bolognese sauce. Apologies for the lack of photos, but I would have taken more if I’d known I was going to write a blog! The recipe below is based on this one. I originally found it in Vegetarian Living magazine, but it looks like the online version is a bit different, so the below is the version I’ve got with some extra changes/suggestions based on my experience of making this. In a large bowl, dissolve the yeast in 1.5 tbsp of the lukewarm water. Add the sugar and 1.5 tbsp of the flour, and mix well. Cover with clingfilm and leave to prove in a warm place for 15 minutes. Add about half of the remaining water, all of the remaining flour, and the polenta, salt and olive oil, and mix well, adding more water if needed to create a soft dough that’s not too wet. Use the heel of your hands to work the dough for 5 minutes or until it is smooth and elastic. Lightly grease the inside of another large bowl with olive oil and transfer the dough to it. Cover the bowl with a clean tea towel and leave in a warm place to prove for 45-60 minutes, or until it has doubled in size. While it’s proving, make the tomato sauce (see below). Dust a work surface with flour and tip out the dough. Knock it back with one good punch to let any air out. 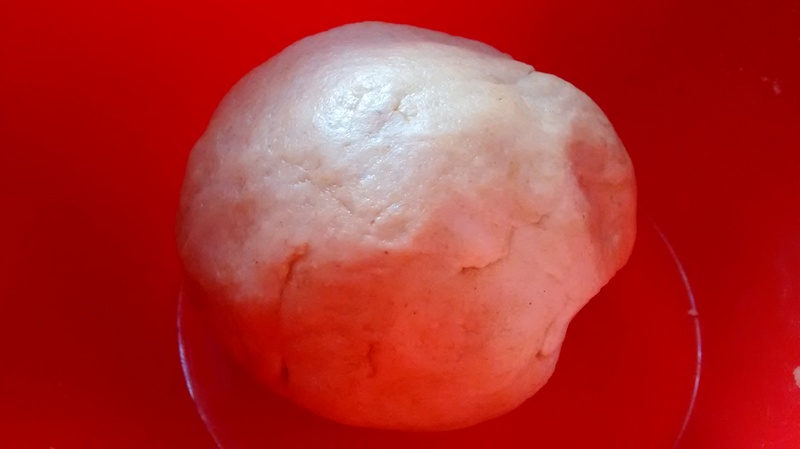 Cup your hands over the dough and roll it around on the surface to create a smooth ball. Place the dough on a lightly greased baking tray, cover with a tea towel and leave in a warm place to prove again for 15 minutes. Heat the olive oil and butter in a frying pan until the butter has melted. Add the garlic and onion and cook over a low heat for 10-15 minutes, until well softened. Add the chopped tomatoes, sundried tomatoes and oregano, and simmer until the sauce has reduced to a rich, thick consistency – about 15 mins. Season to taste. Set aside and leave to cool. Pre-heat the oven to 200C/fan 180C/gas 6. Remove the woody stalks from the Swiss chard and spinach (if using fresh). Blanch the leaves for 2 minutes in salted boiling water then drain well, squeezing out the excess moisture with your hands and then wringing out any remaining moisture with a clean tea towel. At this point you can try to dry out the leaves further in the oven, on a low heat setting. Chop the leaves very finely and combine with the chives/spring onions, dill, cottage cheese, feta, eggs, oregano and salt and pepper. Set aside. 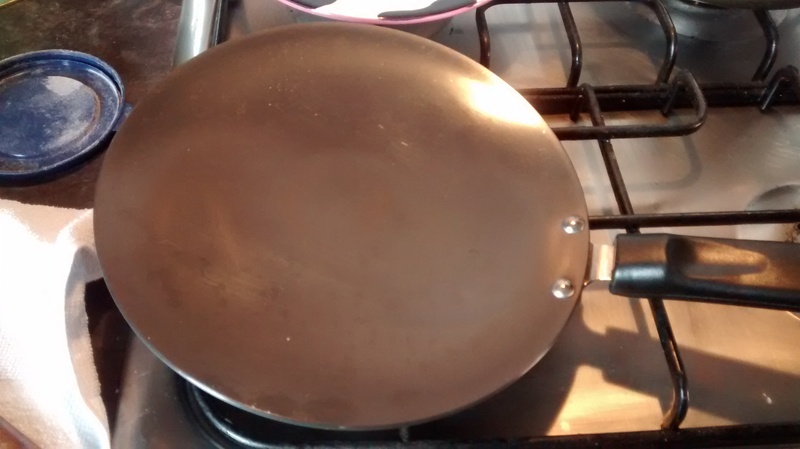 Grease a 20cm springform cake tin with olive oil and lightly dust a work surface. Separate the pizza crust dough into two balls, one weighing around 330g and the other around 170g. Roll out the larger ball of dough into a 35cm circle that’s about 3mm thick. Gently fit the dough to the cake tin, pressing firmly into the corners and up the sides so that there’s a 2.5cm overhang. Cover with a tea towel and let the dough rest for 15 minutes. 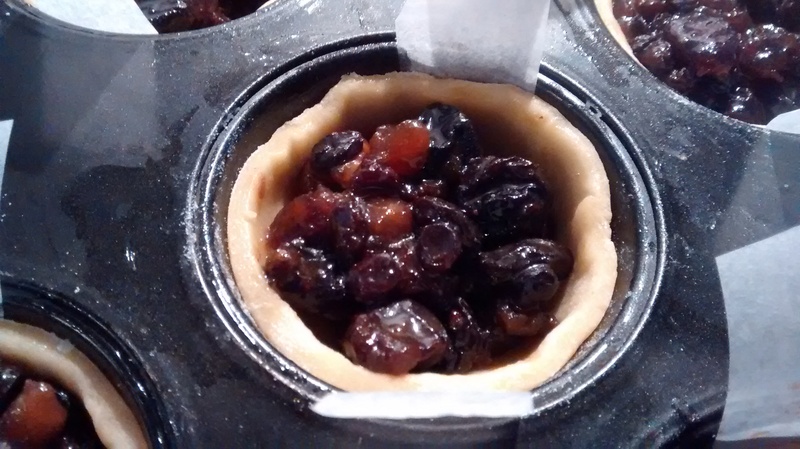 Spoon the filling into the dough-lined tin and spread evenly. Roll out the remaining dough into a 20cm wide, 3mm thick circle. Prick it all over with a fork. 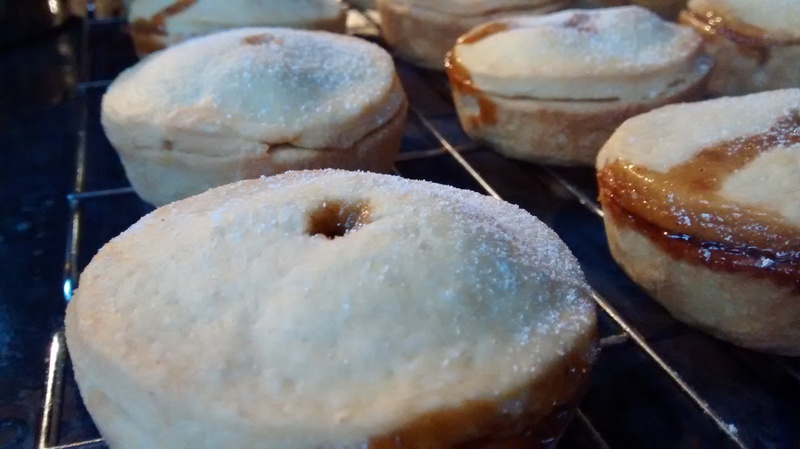 Place the circle of dough on top of the filling in the tin. Fold the overhang of the other piece of dough over the top to form a thick edge. Spoon the tomato sauce on top and spread evenly. Reduce the oven temperature to 180C/fan 160C/gas 4 and bake the pizza pie for 15 mins, before rotating it and baking for another 15 minutes. Sprinkle the pecorino or parmesan on top and bake for a final 15 minutes or until the pizza is golden and crisp. Remove from the oven and sprinkle the remaining 1 tbsp of pecorino/parmesan on top. Leave to rest for 5 minutes before releasing the pie from the tin. Serve and enjoy your pizza pie! News: I left my job on Friday. I decided to say goodbye to my much-loved colleagues at Axonn by bringing in a bake a day in my last week. Because, you know, I like to keep busy. My week of baking culminated in this magnificent sticky ginger cake with ginger fudge icing, which is probably my all-time favourite ginger cake. I don’t have any other pictures for you other than the above as blogging was the last thing on my mind last week, but hopefully you can get an idea of the lusciousness of this cake from that single photo. 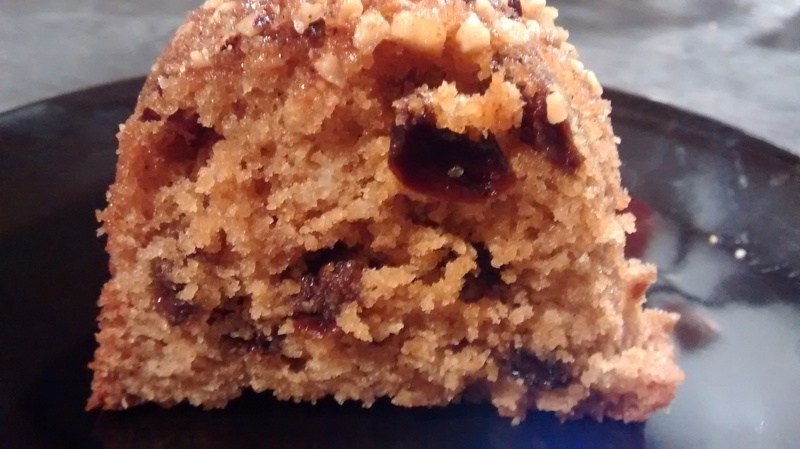 The cake is a beautifully moist sponge studded with pieces of stem ginger (I also threw in some crystallised ginger as I didn’t have quite enough stem ginger) topped with a decadent icing flavoured with syrup from the stem ginger jar. 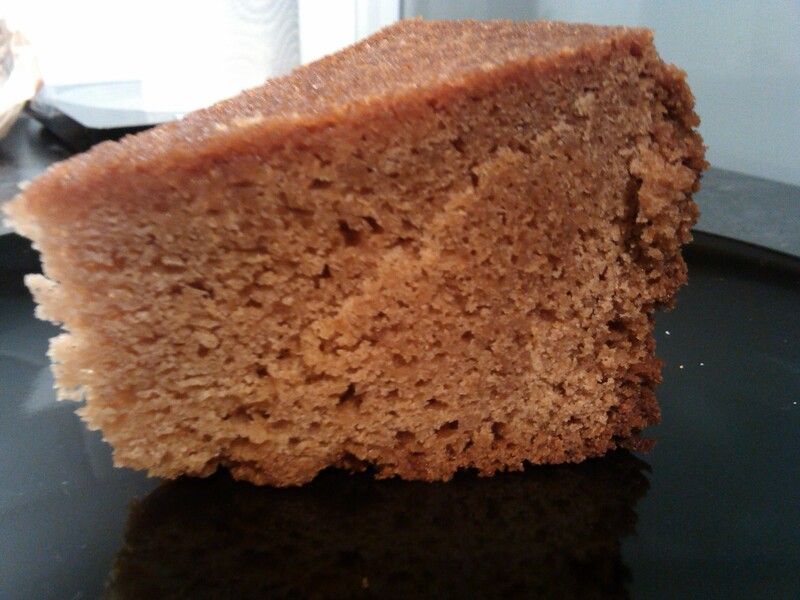 The cake is also soaked in the syrup for extra gingery-ness! I actually didn’t get to have a piece as I wanted to save as much as possible for everyone at work, but I was very reliably informed that the cake was ace. Which definitely matches up with my memories of the two other times I’ve made this cake! 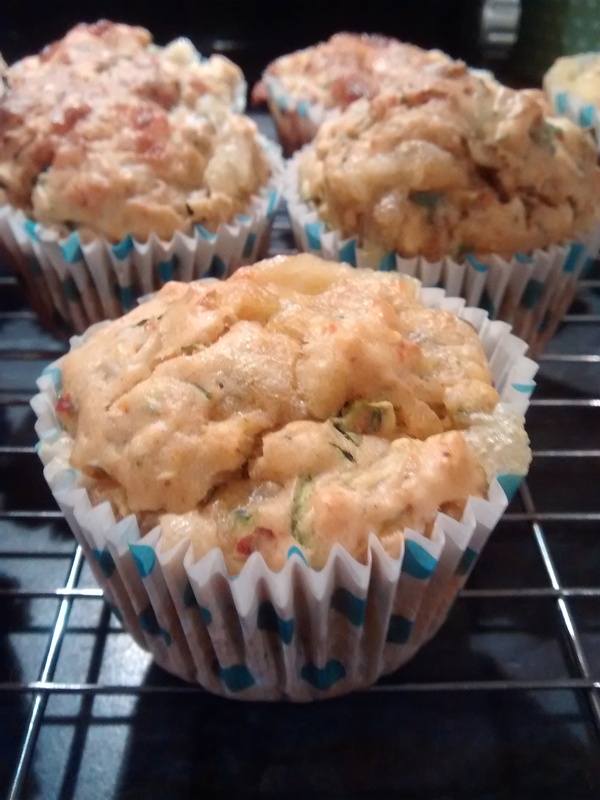 The recipe is from BBC Good Food 101 Cakes & Bakes – someone kindly posted it on Mumsnet if you fancy having a go. You can use dark muscovado or dark brown sugar instead of molasses sugar, if you can’t find it in the shops. 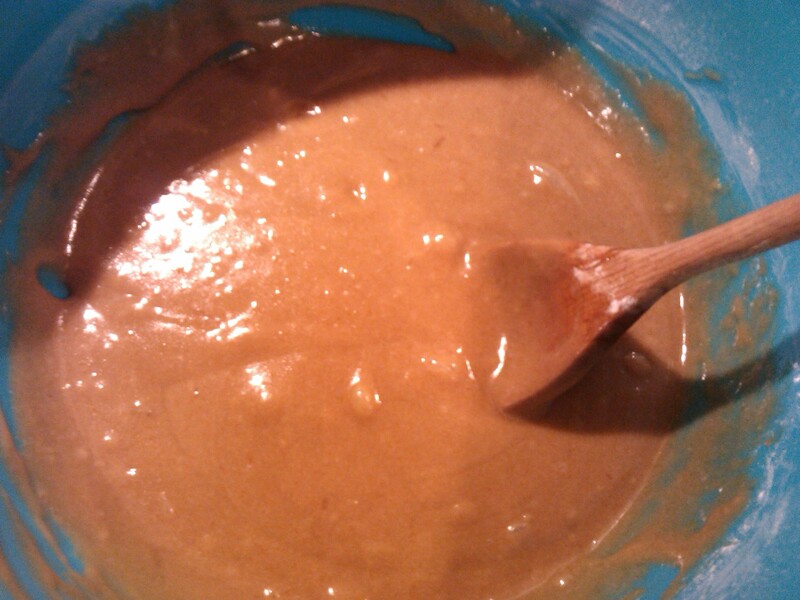 I also make half the icing as you do end up with A LOT. 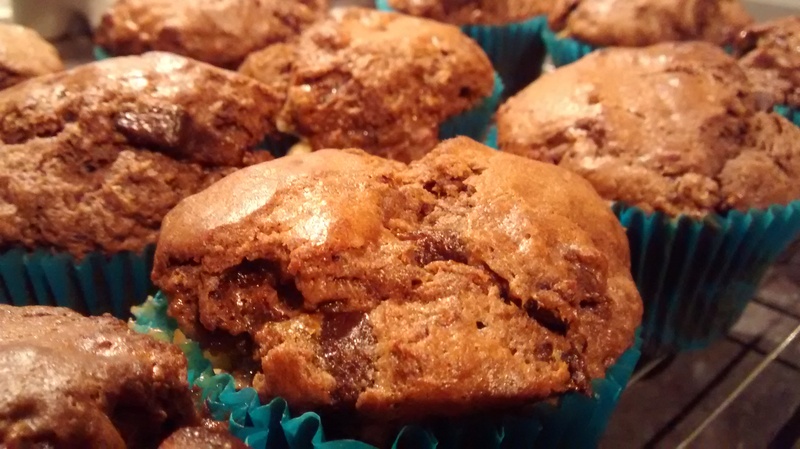 I’m going from working in an office of 30-odd people to precisely 3 (including myself) when I start my new job tomorrow, so we’ll see whether I can keep up my baking efforts with so few guinea pigs to test my bakes on! 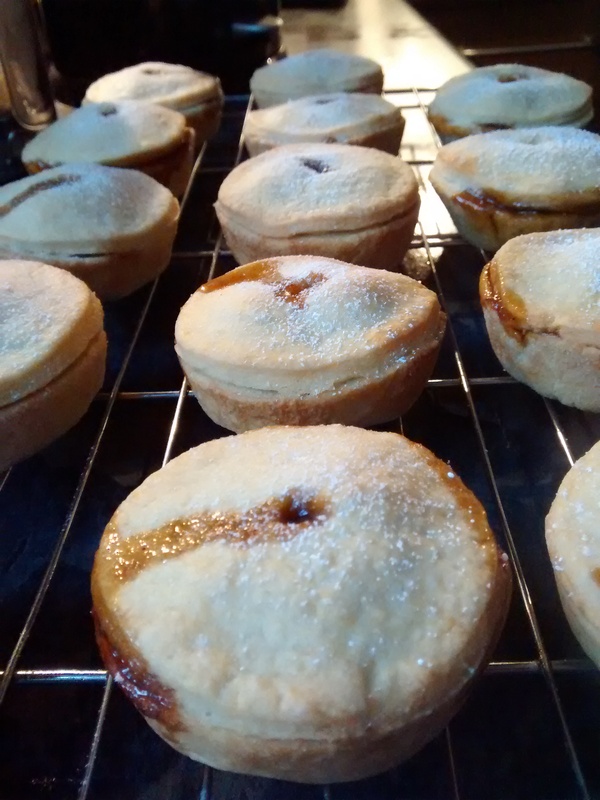 I think I’ve managed to fulfill my new year’s resolution of baking more this year, so I’m probably entitled to slow down a little come 2015… but we’ll see whether that actually happens! I’m hell-bent on going about my life as if it was proper autumn, rather than this strange sort-of-autumn-but-actually-still-a-bit-summer we’ve been having. 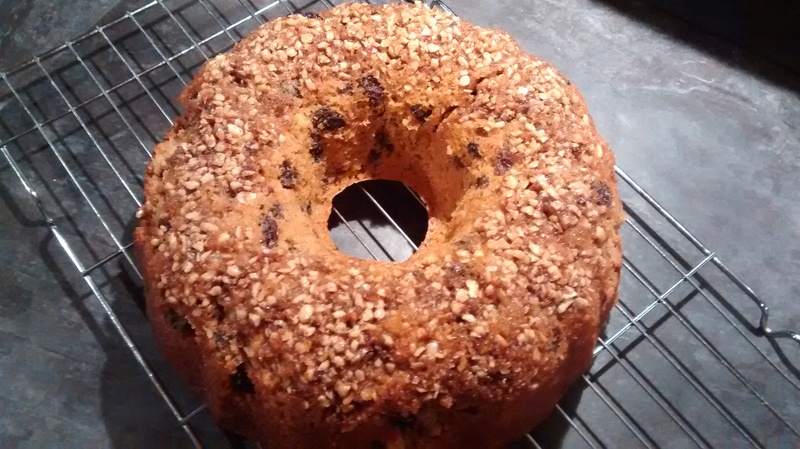 This includes baking, and this raisin spice cake really is a rather lovely autumnal bake perfect for a chilly evening with a nice cup of tea. 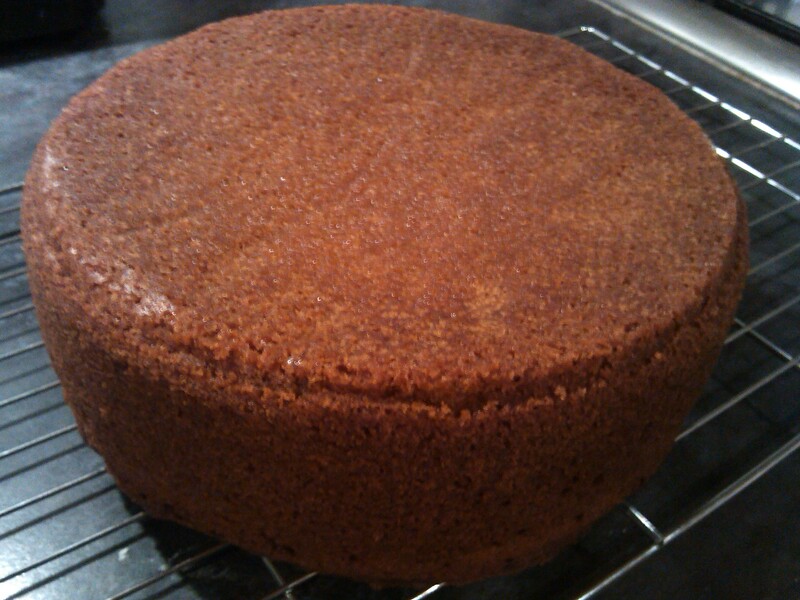 I’ve made this cake once before, but I didn’t have a ring tin at the time, so I just made it in a standard round tin. I think it looks much nicer as a ring cake, even if it is a bit more of a faff to get out of the tin! The recipe is very straightforward – make the topping and place it at the bottom of the tin (I used a bundt tin), then put the cake mix on top and bake. The topping is a rather lovely combination of chopped hazelnuts, spices and demerara sugar, and there’s a good amount of it, so you’ll definitely appreciate it when the cake is out of the oven and ready to eat. 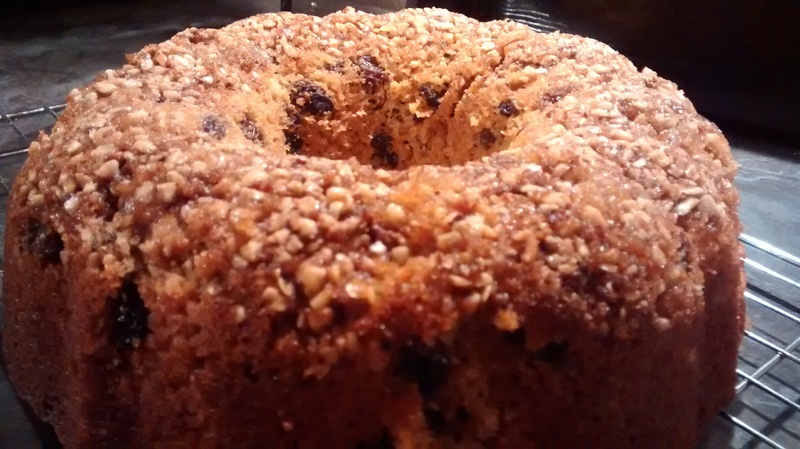 The cake itself has yet more spices and raisins plumped up with a bit of orange juice, which makes for a lovely flavour that propels the bake above your average fruit cake. Oddly for me and my temperamental oven, the cake was perfectly cooked in the time stated in the recipe, which was nice as I had to miss 10 seconds of the Great British Bake Off quarter-final to take it out of the oven! 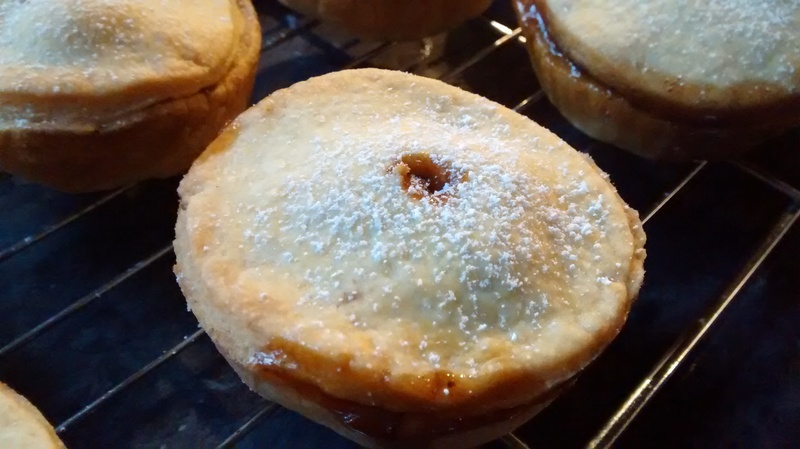 As mentioned, it didn’t come out of the tin without bits of it coming away with the tin, which was disappointing. I did, however, make sure those bits didn’t go to waste *ahem*. The cake seemed massive when it was baked, but my boyfriend and I managed to polish it off alarmingly quickly. 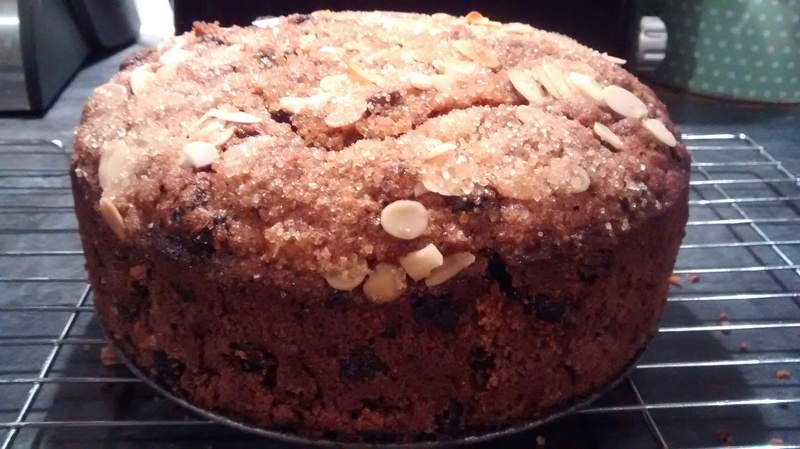 It really is a wonderful cake and just the thing for autumn, if it ever gets here! This is in BBC Good Food 101 Cakes and Bakes, but it isn’t on the website. It seems to be accessible via Google Books, though. Up until fairly recently, I had a love-hate relationship with chapattis (or chapatis). I absolutely LOVE eating them, especially when they’re freshly made by my mum, but I used to hate trying to make them myself. For one, I could never get the dough right because my mum is rubbish at giving proper weights and measures for anything food-related (“Add one spoonful of oil.” “But how big is the spoon?” *shrug*). 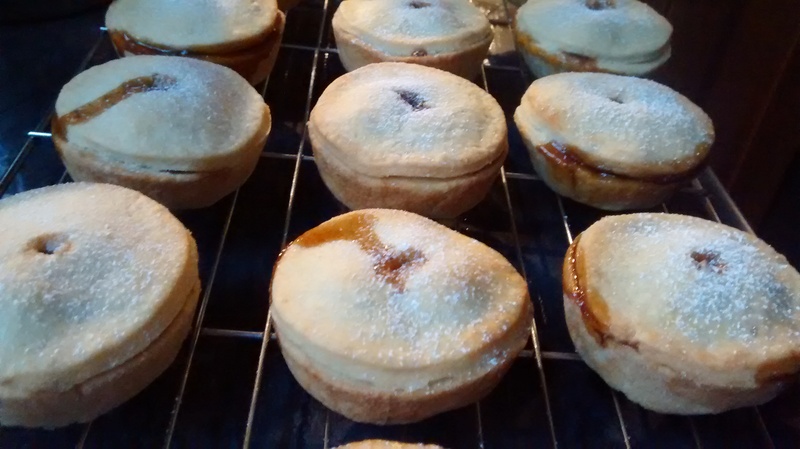 Secondly, I was TERRIBLE at making them come out completely round. 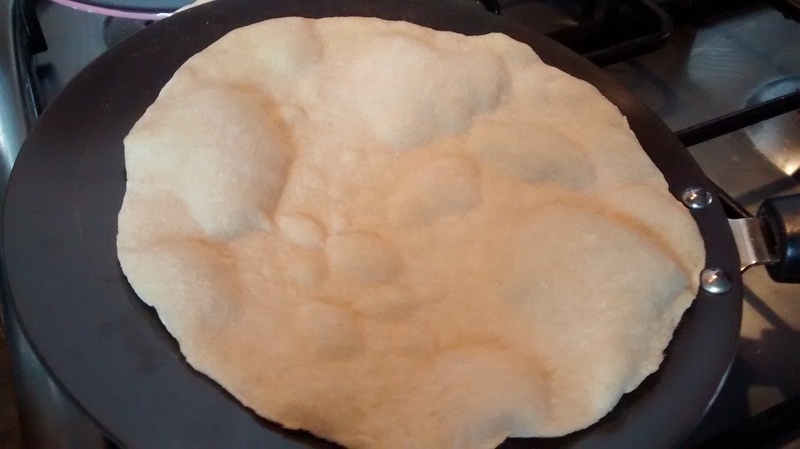 You might think it’s a bit stereotypical, but the scenario with the daughter of Indian immigrants struggling to obtain her mum’s approval due to an ever so slightly wonky chapatti – or something resembling a map of India, in my case – is very much real, folks. So, what changed? Well, it seems all I had to do was move out of my mum’s house, put together a recipe that made actual sense, and practice, practice, practice. First, the dreaded dough. Neither I nor my mum think you can get away with just chapatti flour (or atta, as it’s also called) and water, although this is fairly traditional thinking. 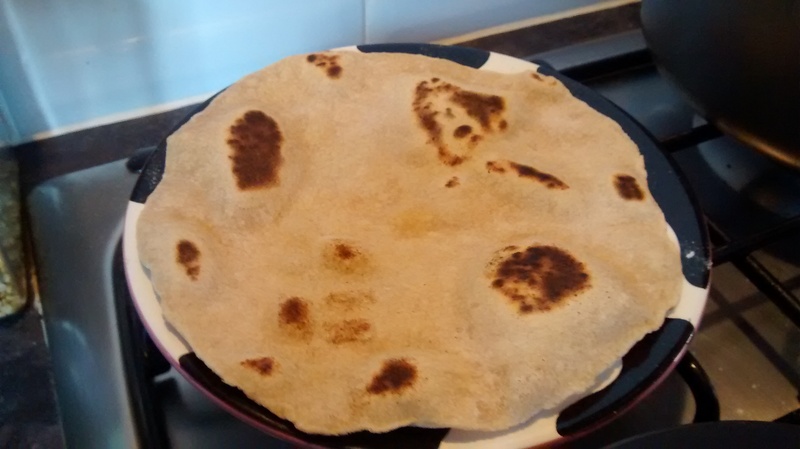 The secret to the perfect chapatti is almost certainly the little bit of fat that you add to the dough – a bit of sunflower oil and some sunflower spread rubbed in. The other key to getting the dough right is to not in any circumstances add too much water. Always, always go slowly when adding it, otherwise you’ll end up with a soggy dough and the vicious circle that is adding flour to counteract the sogginess, then adding water because it’s too dry again, etc etc. Once you’ve given the dough a good knead, cover the bowl and leave it to rest while you prepare the curry to eat with your chapattis (assuming you’re going to make a quick vegetarian curry as I usually do, rather than spend hours on a luscious lamb curry). 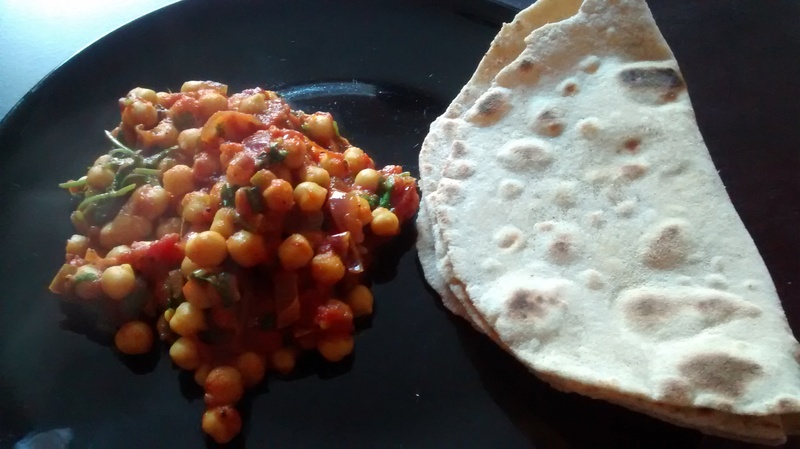 I made my favourite, chickpea curry, when I took these pictures and you can find the recipe for that below along with the chapatti recipe. Then it’s time to roll out and cook the chapattis while the curry is simmering. The trick is to use plenty of flour in the rolling out process so that the chapatti turns by itself while you’re rolling it out, and to keep adding more flour as soon as it starts to stick. This is something my mum neglected to explain to me, hence my complete inability to turn out anything vaguely round when I was a teenager. It also helps to have a chapatti rolling pin that’s tapered at each end, although it’s not essential. Now for the cooking. Again, it helps to have a special chapatti pan called a tava or tawa, but you can get away with a frying pan just fine. Luckily, my mum gave me loads of kitchen equipment when I bought my house, but you can buy Asian equipment at pretty much any large Indian grocer or cash and carry. And that’s it! Smear some butter on the warm chapatis and you’re good to go as soon as you’ve put the finishing touches to your curry. It seems so simple now but believe me when I say the above pictures are the result of years of struggling to get it right. Luckily, now I’ve found out how to do it you can skip straight to the nice, round chapattis with your curry without the pain! As it just so happens to be bread week on the Great British Bake Off, I’m submitting this to the Great Blogger Bake Off organised by Laura at I Love Crafty. I expect to be fully upstaged by both the other participating bloggers and the contestants’ amazing bakes on the show tonight! Stir the salt into the flour, then add the oil and 60ml of the water. Mix everything together until you get a fairly soft dough. Add more water if needed, but do this a few drops at a time. Rub the sunflower spread into the dough and knead for a couple of minutes until soft and smooth. Cover the bowl with a tea towel and leave to stand for 15-20 minutes, ideally while you make the curry. Put the tava or frying pan over a medium-high heat to get very hot. Split the dough into four equal pieces and roll each one into a ball. Gently flatten each one between your hands to create fat ‘discs’. Liberally sprinkle the surface with flour and roll the first disc out into a circle, always making sure there’s enough flour to keep it turning by itself under the rolling pin. Make sure the rolled-out dough is evenly thin – you’re looking for a thickness of around 2mm maximum. Cook the dough circle by placing it on the hot tava, making sure there are no bumps or wrinkles. 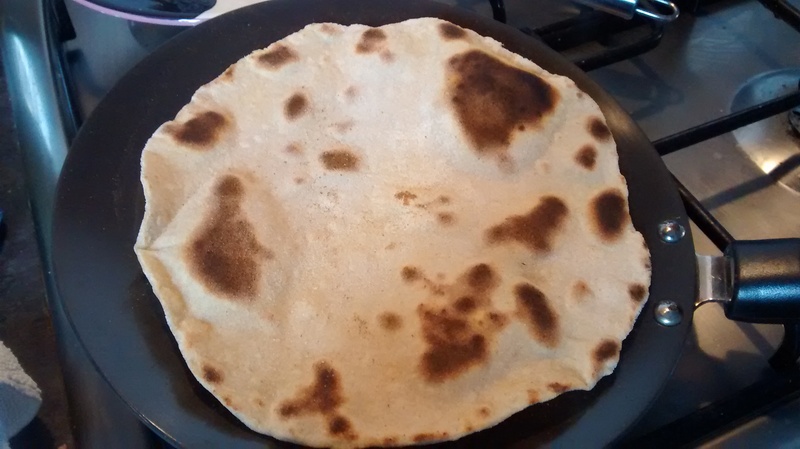 Leave to cook for 1-2 minutes (roll out another chapatti while you’re at it!) until the top puffs up quite considerably and the underside has brown patches, then flip it over and cook for another minute. Transfer the chapatti to a plate, place the next dough circle on the tava to cook, and roll out another circle while it’s cooking. Repeat until all the chapattis are done. Spread a little butter over the top of each chapatti and serve with a piping hot curry. Heat the oil in a saucepan and add the cumin seeds and mustard seeds. When the mustard seeds start to pop, add the chopped onion and fry gently for a couple of minutes, being careful to not let the seeds burn. Add the bird’s eye chilli, ginger, garlic, red chilli powder and turmeric and cook – still very gently – for a couple of minutes, stirring frequently to prevent sticking. 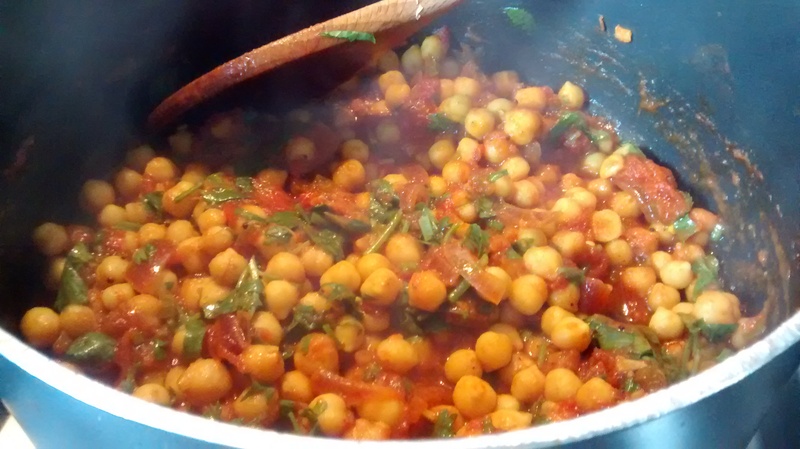 Add the tomatoes and jaggery or brown sugar, and simmer for another couple of minutes before adding the chickpeas and covering the pan. Keep on a low simmer while you roll out and cook the chapattis (about 10-15 minutes), stirring occasionally. Add the lemon juice and garam masala, stir and then turn off the heat. Stir in the coriander, season with salt as you see fit, and serve with your nice, round chapattis. I’m the kind of person who easily gets a bee in her bonnet about seemingly small things. People walking slightly too slowly in front of me, misplaced apostrophes, sales assistants who place my change directly on top of the receipt before handing it to me instead of giving me the change and receipt separately… they all annoy me. However, I’m sure we can all agree that cake is NOT a small thing. Especially the matter of how to make a Victoria sponge ‘properly’. I’ve always made it in what I firmly believe to be the only way you should – two airy sponges sandwiched with something creamy and something fruity (ideally buttercream and strawberry jam respectively, but anything else that’s creamy and fruity is fine). So I was aghast when I learned that the Women’s Institute, that veritable paragon of ‘proper’ baking, tells impressionable bakers who may not know any better to forgo the ‘something creamy’. I hasten to add that they do this as standard in their recipe, but then add a note saying to use cream on a “special luxurious occasion”. My response to this is…. NO. 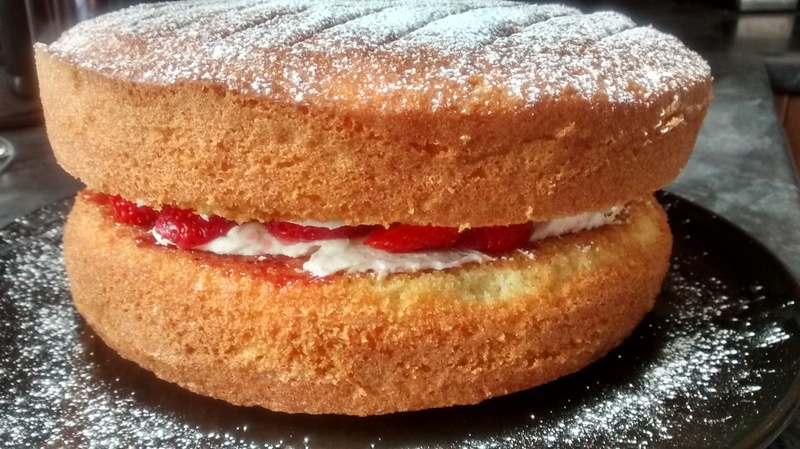 A Victoria sponge without a lovely layer of creaminess isn’t worth having, special occasion or not. What on earth is meant to offset the airy sponge and sweet fruit if not something creamy? Where’s the FUN? I’m not the only one who feels this way – I was heartened to read that Felicity Cloake of the Guardian also agrees with me (and in fact she pretty much sticks her tongue out at the WI by adding double cream to her buttercream), as does Great British Bake Off series 2 winner Edd Kimber. Unfortunately, the unofficial patron saint of British bakers Mary Berry confuses things by posting a cream-free recipe on her website along with a photo of a cake bursting quite rudely with cream. If anyone has an argument for doing it the WI way, other than the frankly rubbish argument that you consume fewer calories, I’m all ears. But I’ll still do it the right way. 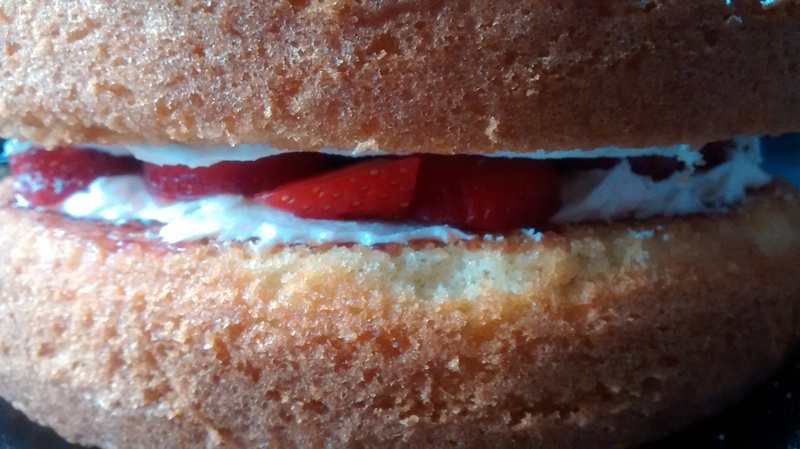 Now that I have my rant out of the way, here’s a Victoria sponge I made recently. 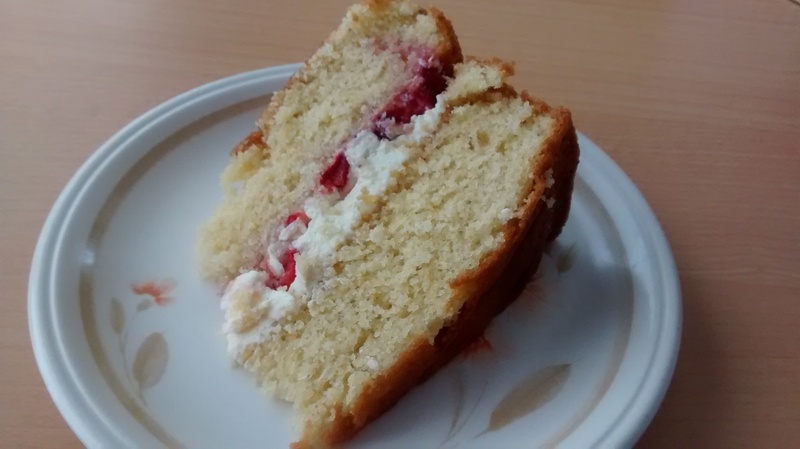 I gave it a little twist by adding sliced fresh strawberries to the filling of buttercream and not as much strawberry jam as usual, and it was bloody lovely, even if I do say so myself. It’s just the perfect summer cake and one that’s quite timely if you’re planning to bake it in the next few days, as it just so happens to be National Afternoon Tea Week. That obviously doesn’t matter if you don’t need an excuse to take afternoon tea, like the Queen, who has it daily. And why the hell not? 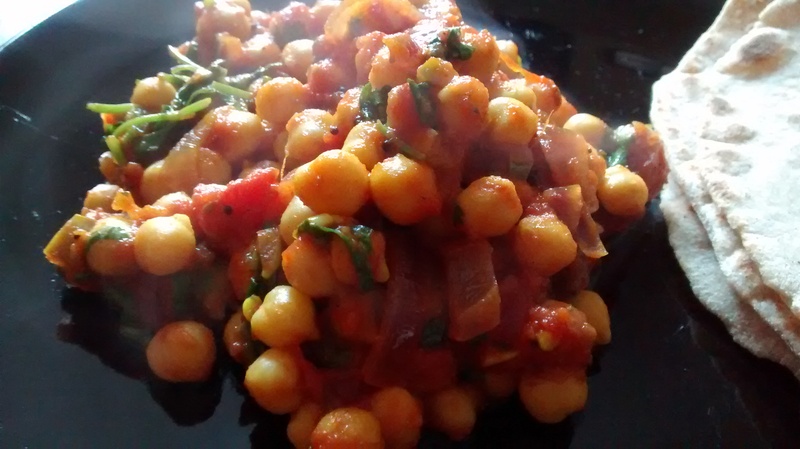 Adapted from this BBC Good Food recipe. Preheat the oven to gas 5/190C/fan 170C. Grease and line the bases of two 20cm round cake tins. Put all of the cake ingredients into a big bowl and beat until smooth. That’s it! Bake the cakes on the same shelf of the oven, if possible, for 20 minutes or until golden and springy to the touch. Cool the cakes on a wire rack. Make the buttercream (if using) by beating the icing sugar into the butter a bit at a time, before stirring in the vanilla extract. Spread half of the buttercream on one side of one of the cooled sponges and press the sliced strawberries into the buttercream. Spread one side of the other sponge with the jam and top with the remaining buttercream. Sandwich the two cakes together so that the filling is all in the middle. Sift icing sugar over the top to decorate. Honey is a wonderful ingredient – you can spread on toast or crumpets, or mix it with some Greek yogurt, or stir it into lemon and ginger tea for the perfect pick-me-up when you’re ill… the list goes on. I’d never really come across it in cakes until a few years ago, when I saw this recipe for Devonshire honey cake in my trusty little BBC Good Food book. 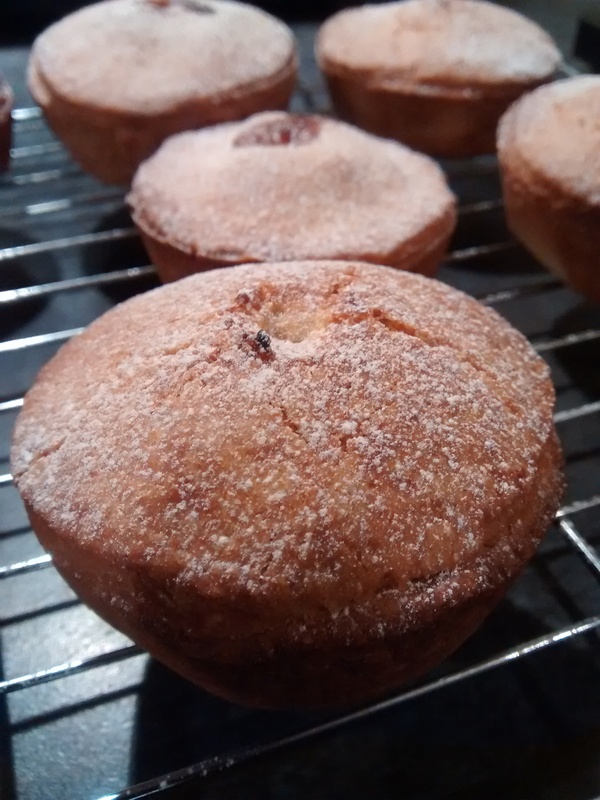 I’ve baked this and other honey cakes since, and nothing else comes close to this recipe in terms of the sheer loveliness of the honey flavour. 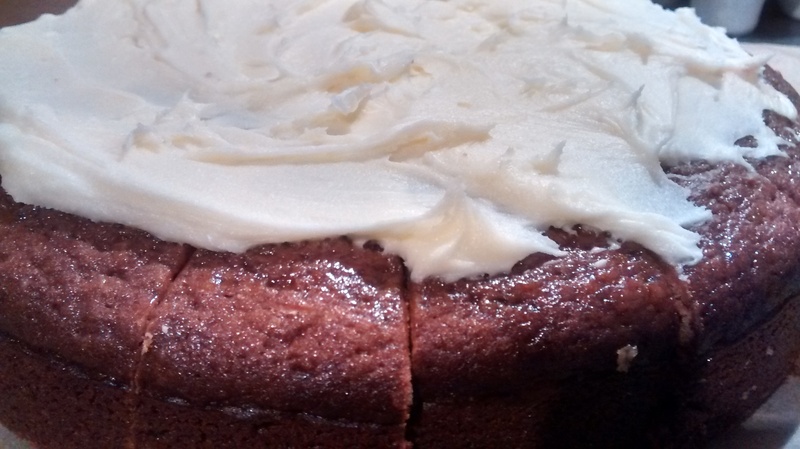 The first time I made this cake, it initially seemed to be a bit of a disaster – it took far longer to bake than the recipe said, and when I cut into it the middle wasn’t completely cooked. It was still well and truly edible and delicious for all the honey in it, but I didn’t even think about attempting it again until my boyfriend suggested it while looking at me pleadingly. So, I tried it again last week, determined to make the recipe work. I followed it to the letter and thought I’d cracked it when the mix looked perfect (and tasted amazing too – baker’s prerogative!). However, alarm bells rang once again when I checked on the cake at the end of the cooking time and it was still very wobbly. I left it in for another good half hour or so and it seemed fine. I brushed the honey glaze on top as required (although you can barely see it in the pics) and left it in a tin until my boyfriend was next round to sample it. 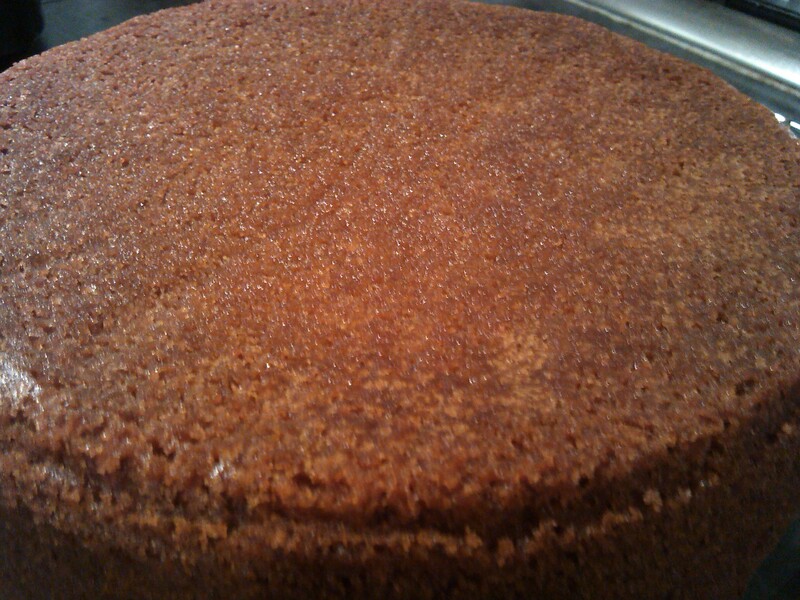 Once I finally got round to slicing it up, I found the cake seemed very dense in texture. Luckily, it didn’t taste at all dry, presumably because of all the honey in it. 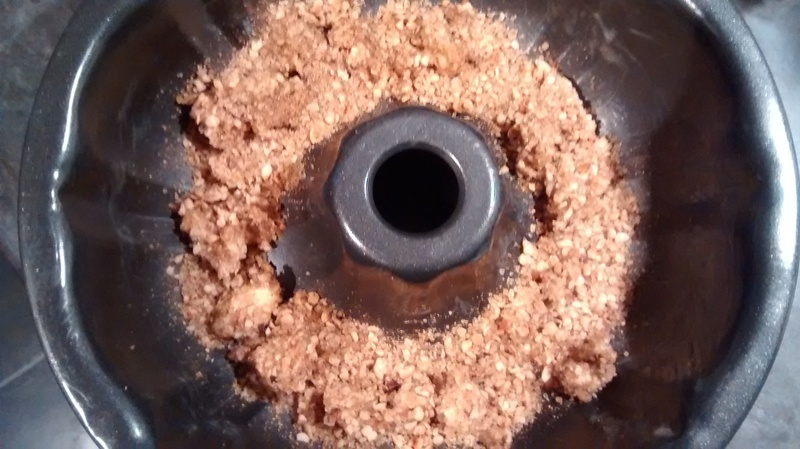 In fact, it tasted delicious, but I’m still rather perplexed by the texture as, the last time I made it, it had a much softer and larger crumb! I can only assume this is down to the type of honey I’m using – I may invest in something beyond Asda’s own squeezy honey if I try to bake this cake again. I’m sure I’ll nail it one day!